The kitchen is a high traffic area in the house. Due to the popularity, it is common for this space to be disorganized. But with a few key organization tips, this space doesn’t have to be this way. Check out these tips for organizing your pantry and cupboards! Empty out your pantry and cupboards: This first step to organizing your kitchen is to empty out your pantry and cupboards. By emptying out your pantry, you will be able to clearly see all of your items and determine which are broken, duplicate and unneeded. This is a good time to also pull out any expired food cans or boxes you find. Get rid of unneeded items: Sort through your items and determine what you can part with. If you haven’t used your food processor or toaster oven in years, consider donating or selling these items. Use turntables for deep cabinets: If you have deep cupboards, consider using turntables or “Lazy Susans” to store your items. This will allow you to clearly see and grab items that would have ordinarily been pushed to the back of the cupboard. Use raised storage: Another good way to make sure your food doesn’t get lost in the back of the cupboard is to utilize raised storage. Raised storage can also help you to save money because it will easily allow you to take inventory of what you have so items don’t go to waste. Make the best use of space: When trying to squeeze the maximum number of items into your pantry, it is important to make use of as much space as you can. For example, install door racks on the back of the doors to store small snacks and other items. Continue to organize as you go: One of the most important ways to ensure your pantry and cupboard doesn’t become disorganized again is to continue to organize as you go. Once a month, take 30 minutes to re-organize your pantry. This can really go a long way to help you stay organized. Need More Household Storage Space? 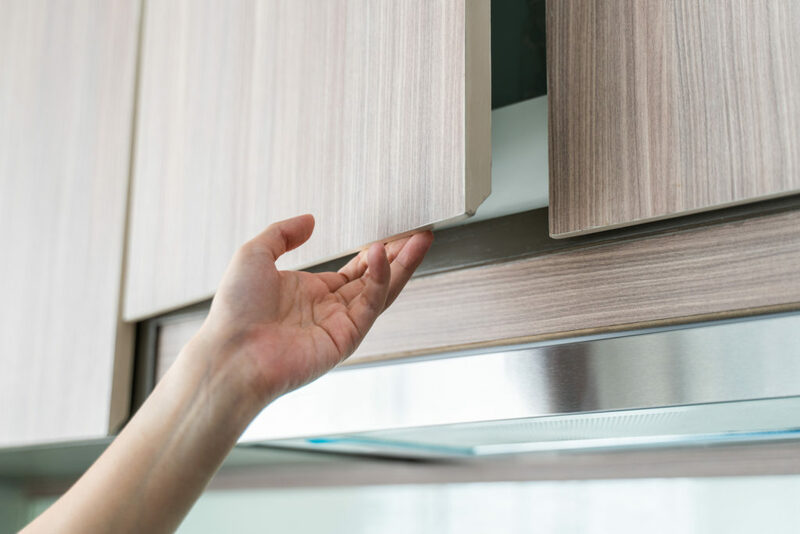 While the pantry and cupboards are likely just the start to organizing your kitchen, you may discover that you just don’t have enough storage space. Maybe your nice china from your wedding is taking up too much space or maybe you just have too many kitchen gadgets. Whatever the reason, a storage unit rental allows you to still hold onto the items that you do not have space in the kitchen for. Did you know that Storage World has storage facilities in Jonesboro, GA and in Decatur, GA on Panthersville Rd and Flat Shoals Pkwy? If you’re looking to simply store a few smaller items that do not fit in your pantry, consider our 5×5 storage unit. For a full household storage option, consider our 5×10 and 10×10 storage unit. Reserve your storage unit today!